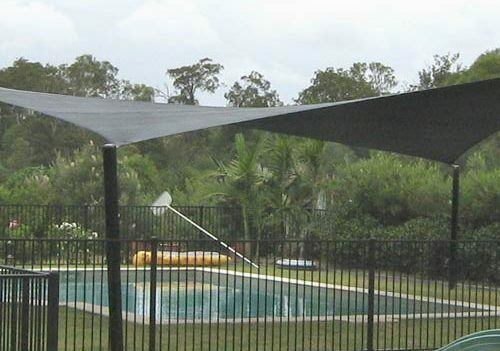 Across Australia, patio shade sails are incredibly popular, which of course does not come as a surprise given how much Aussies love the outdoors. Coastwide Shade Sails, one of the trusted names in the market shares some insider tips on how you can make the most of your patio shade sails. The sun changes direction all throughout the day. It is therefore important that you can identify the sunny areas at certain times. If for example, you are looking forward to enjoying some cold beers in the backyard at a specific time of day, it certainly pays to know where the sun is at that time. Even if you invest in a waterproof shade sails, installing it at an angle would be the best way to maximise its resistance to water instead of laying it completely flat. This prevents water from making a puddle and leaking through. If your shade sails have four or more corners, you might want to consider a hypar installation, which involves installing opposite corners at an angle. This produces a slight twist, making it more aesthetically appealing. If you don’t want to end up with discoloured shade sails, ask a Coastwide Shade Sails staff member to give you a marine grade, stainless steel eyelet to avoid rusting and discolouration. Not many know but the colour of the shade sails determines the quality of UV protection you enjoy. While most shade sail materials undergo treatment to give it the ability to block UV rays, darker colours give better protection compared to lighter ones. As with any shade sail, regular cleaning and maintenance go a long way in ensuring the longevity of your shade sails. You also need to consider getting professionals to properly install the patio shade sails to ensure it is snugly and securely installed.